Most newbies are rightfully worried about how to approach buying a kayak. In other words, you’re probably worried that you’ll buy an overpriced kayak that performs poorly. Or that you’ll buy a cheap one that has clear disadvantages in terms of balance, comfort, handling, etc. Well, you have to start somewhere, which means that you need a multi-purpose kayak with a low price and more than decent performance. We suggest you to read this Old town heron 9 kayak review where we will be recommending the lovely Heron 9XT. Here is a quick recap on what we think of this kayak. Durable and Perfect for first timers. What Makes The Heron 9XT Stands Out? Before we move on to the details of the product itself, let’s talk about the company for just a moment. Old Town was formed in 1898. It was in this year that A. E. Wickett crafted his first Penobscot-inspired wood and canvas canoe. He did this behind Gray’s hardware store, and soon after he was selling canoes insanely well. In 1903, the firm adopted the name Old Town Canoe Co. Their primary focus was wood and canvas canoes, and they continued to sell out regularly. The military personnel, in particular, loved canoeing, and soldiers would use Old Town products extensively. However, with the Second World War in full swing, the materials became more scarce. The company had the materials to continue with the wood and canvas canoes, but they were slowly expanding into fiberglass boats. The sixties saw the expansion of fiberglass canoes and kayaks, and the seventies turned to Royalex. The company then expanded to polyethylene products, multipurpose kayaks, and newer, slicker designs. With over a century of continued work, numerous awards won and millions of satisfied customers, Old Town stands as a name replete with excellence. Which makes it all the more fascinating that they still manufacture the bulk of their products by hand. With as rich a history as Old Town has, you can expect nothing but quality from their products. With the Heron 9XT, there is no exception too. Let’s discuss some of its basic features. This kayak stands about 9 ft. 6 inch and 28.5 inch wide. Its cockpit dimensions are 39.5 in x 19 in, the height of the deck is 13 inch. It’s a relatively compact-sized kayak. In terms of weight, it’s relatively light compared to its competitors on the market with only 39 lbs, making manual transport from land to water easy. Or just manual transport in general, really. Check out this article if you are looking for ways to transport it from your home. In terms of how much it can carry, this model has a maximum weight capacity of 300 lbs. So unless you’re really unfortunate with your weight, you will have no trouble comfortably fitting in this Old Town beauty. The Heron 9XT is a sit-inside kayak with a slick design. The said design allows it to maneuver easily upon use. The cockpit has plenty of leg room, and most of your additional gear will go to the hatch on the kayak’s stern. It’s a one-paddler kayak with the primary purpose being recreational paddling. It’s perfect for a newcomer willing to learn the ins and outs of this activity. The material that makes up 9XT is a single-layer polyethylene, continuing the tradition of its older cousins. It’s light enough to carry around, yet durable enough not to get damaged when you use it. For you aesthetically-minded folks out there, this model comes in four vibrant colors. Those are Sunrise (orange and yellow), Cloud (blue and white), Lemongrass (light green), and Black Cherry (red and black). It has plenty of features that can catch your eye, even if you don’t know much about kayaks. The first would be the Comfort Flex seat. This adjustable seat system is perfect for many hours of long paddling. You get to adjust it per your pleasure, and the added seat/back padding makes it all the more comfortable. In addition to this, you also get thigh pads, a step further in comfortable paddling experiences. In terms of the cockpit itself, it is easy to enter and leave, and no matter your girth – you will fit right in. Its design allows you to add a spray skirt. 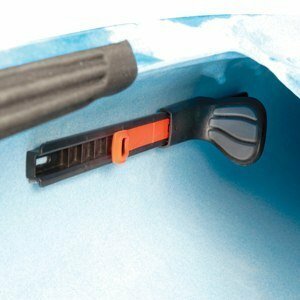 This option is useful, as you need it in cold weather or simply if you’d wish not to get too wet. The cockpit allows for plenty of room to move, and you will be paddling with no additional effort. 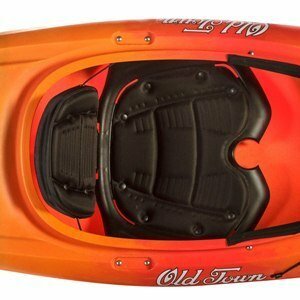 As the same as many other kayaks, including those in Old Town’s vast gallery, the Heron 9XT uses the so-called Support Track system of foot bracing. These particular braces are easy to adjust to any foot type and, most importantly, easy to buy in case they break. Couple this with the roominess of the cockpit and your 9XT kayak is already a cut above the rest. But it doesn’t end there. Let’s first talk about the hatch, the same one we mentioned a few paragraphs earlier. Its capacity is at about 60l, at most. You will be able to store your gear with no problems, and almost no sacrifice in terms of weight capacity. But the hatch isn’t the only additional feature that “holds” something of yours. You also get a paddle keeper, as well as cup holders - both essential for a tired kayaker out in the middle of a lake somewhere. However, even with all of these elements in place, it is the low price that makes Heron 9XT stand out. However, there’s the issue of shipping. Due to its sheer size, you will probably have to pick up your kayak personally. The retailers that do ship the model will likely charge you as much as half of the boat’s price. So, word to the wise – order it from a retailer near you. If not, prepare to pay a hundred or so dollars more for its delivery. Editor's Note: If you are looking for a multi-purpose kayak with a low price and more than decent performance, we will recommend this lovely Heron 9XT. Now let’s be clear on one thing – there are better kayaks out there that serve a specific purpose. We’re talking better racing kayaks, better fishing kayaks, and sure – even better recreation kayaks. However, we also must stress one important detail. Heron 9XT is, hands down, currently the best kayak for a customer that has never kayaked before, but wants to try. To put it differently, it is the best “tutorial” kayak, insofar as it can actually do what most better-rated kayaks can. Its durability is astounding, especially when coupled with its light weight and roomy cockpit. It will take a while to break this baby, and even if you put on a few pounds, it won’t noticeably damage your kayaking experience. We don’t even have to mention the comfort level, as the technology invested in it speaks for itself. As amazing as this kayak is, it has its flaws that might make you reconsider buying it. One of the minor complaints would be the cup holders being non-adjustable, which results in cups spilling over. 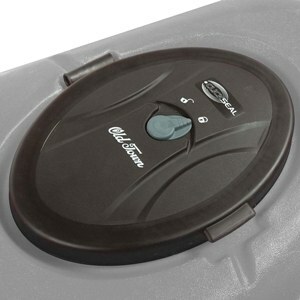 In addition, there’d been cases where the hatch would leak and overflow with water. However, this is only true if you delve into deep waters for long periods of time. Otherwise, you should have zero problems with this. The most common issue with 9XT is that it’s just too plain. In other words, its use is limited. For instance, you could successfully go fishing on it, but it would serve you better to get a fishing kayak. Additionally, the 9XT, as durable as it is, cannot handle rougher waters. We would advise against paddling in the rapids or out in the open sea. This kayak is for large freshwater areas, such as rivers, lakes and ponds. In other words, bodies of water perfect for recreational paddling. 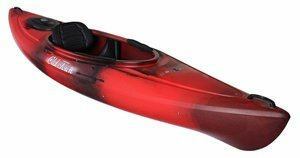 Check out another model from Old Town Canoes & Kayaks, our Old town Vapor kayak review, another model perfect for beginners. We hope that our Old town heron 9 kayak review is able to help you make the right buying decision. If not, let us sum up what you get with this kayak. First off, you get a cheap product in comparison to other commercially-sold brands. Next, you get a product from a manufacturer with a long tradition of quality kayaks and canoes. Finally, you get a kayak that performs almost as good as any professional, more pricey vessel. In addition, there’s safety, comfort, sturdiness, smooth handling, etc. All in all, if you’re looking to start kayaking, let your first kayak be Old Town’s Heron 9XT. It’s slick, durable, comfortable, sturdy, roomy, and looks rather nice. And most of all, it’s perfect for your budget. We would definitely rate this product a 4.5 stars. Buy it now and paddle onward! I’m “unfortunate with my weight”. Probably could have worded that a little better. Unless you just don’t care, which you probably don’t. But that’s fair. Is fast people have no business kayaking. We should just stay in our pigstys just being fat and sweating and breathing through our mouths, yeah? Hi there, sorry if my words offended you. My real intention was to actually prevent overweight people from buying this particular model as they will surely feel sad and disappointed with it later on. While writing this article, I did not think too much as I was just focusing on my readers getting the right product. Sorry again for being too harsh and blunt with my poor choice of words. 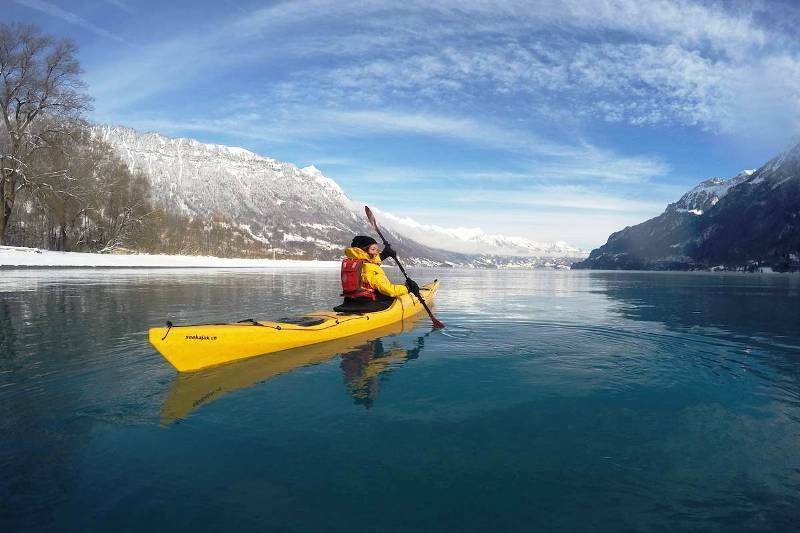 Overweight people can definitely enjoy kayaking as well and if you are looking for one, I will recommend you to check out this review.https://dream-guides.com/kayak/advanced-elements-review It happens to be my personal favourite too. Have a great day!